NEW. 9781138300705 This listing is a new book, a title currently in-print which we order directly and immediately from the publisher. For all enquiries, please contact Herb Tandree Philosophy Books directly-customer service is our primary goal. Textual graphs & tables. Minor rubbing, slight binding soil, VG. 22x14cm, xi, 168 pp. 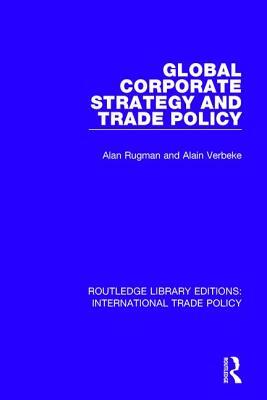 Contents: Introduction; Corporate Strategic Management; Trade Policy & Corporate Strategy; Corporate Strategy for Trade Barriers; Global Corporate Strategy & the Free Trade Agreement; Trade & Industrial Policy in the Triad; Globalization & National Responsiveness; An Industrial Policy for a Small Open Economy; Industrial Policy & Global Competition: Ontario's Experience; Conclusion.